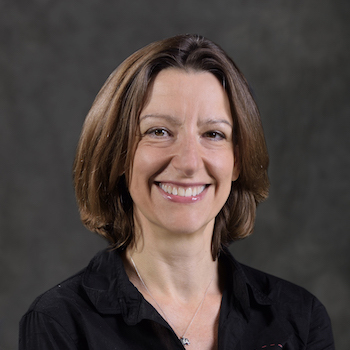 Federica Brandizzi, professor of plant biology with the MSU-DOE Plant Research Laboratory and lead scientist for the plants area of the Great Lakes Bioenergy Research Laboratory, has pioneered the implementation of advanced confocal microscopy for the study of plant organelles. Her research interests focus on the understanding of how plants produce materials of many kinds and how they handle stress on Earth and in space. Brandizzi received a B.Sc. in biology and a Ph.D. in cell and molecular biology from the University of Rome, Italy. Before being recruited to Michigan State in 2006, she was a Canada Research Chair at the University of Saskatchewan.